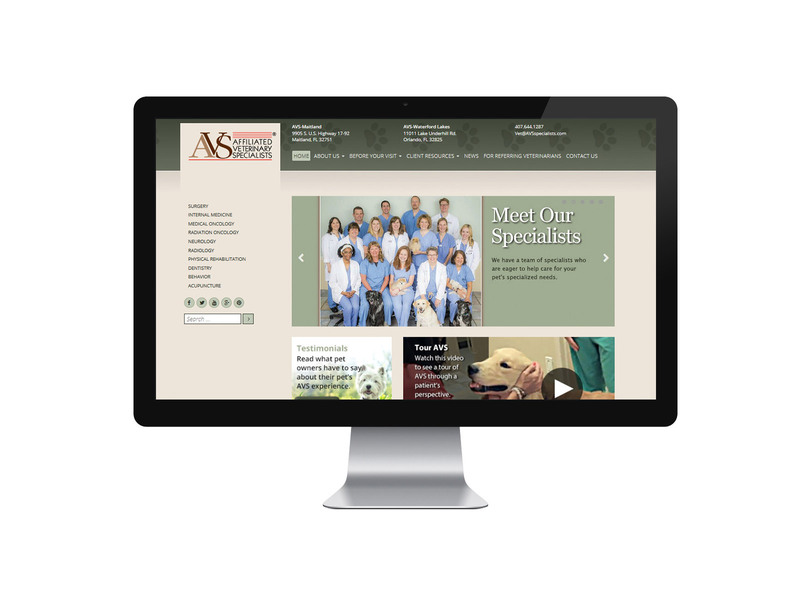 Home > Portfolio > Affiliated Veterinary Specialists P. A.
AVS is a veterinary team that specializes in orthopedic and soft tissue surgery, radiation, medical and surgical neurology. 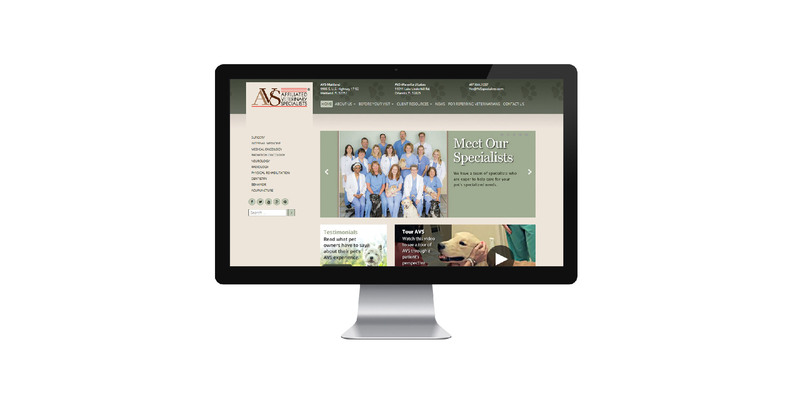 The company has more than 30 veterinarians (19 board certified specialists) and has been providing medical and surgical care to animal for over 20 years. Their offices are located in Maitland and Orlando, FL. The company’s site is built in WordPress and provides great information to clients including information to view before they visit, helpful articles and links, and the ability to make a payment online. The website also offers different up to date events that referring veterinarians can attend. The site, which is also mobile friendly and mobile responsive, is currently hosted and maintained by 3W Studios , a division of Kidd Group.